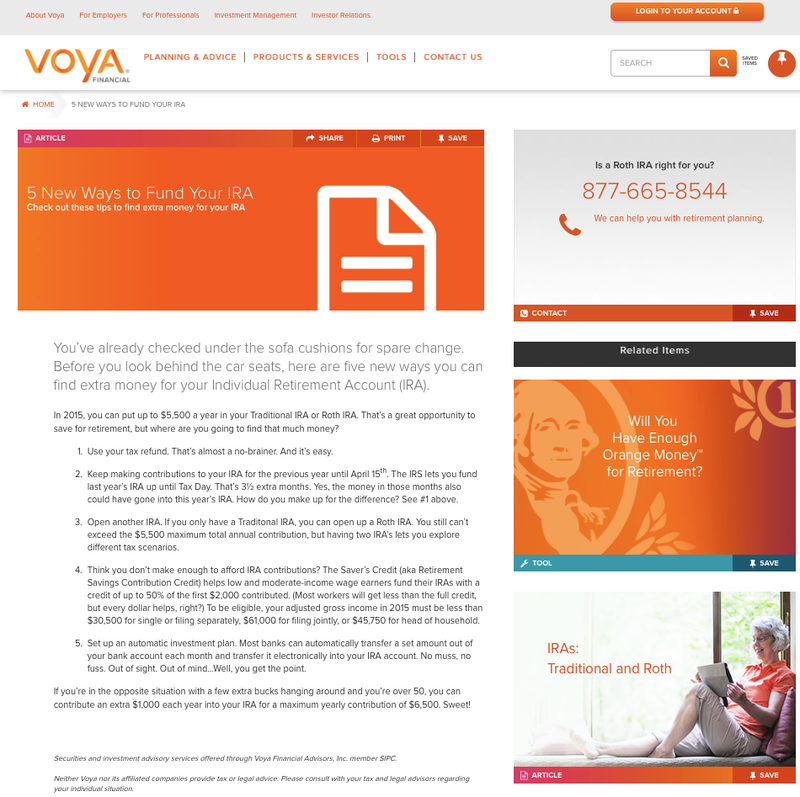 Upon breaking away from ING Financial, VOYA had to quickly populate its new website with useful and easy to understand financial content. I was brought in as a contract copywriter to help write the original content. I wrote this web page to provide some helpful new ways to fund an IRA. Financial information can be dry so I wrote it in a light-hearted manner to keep the Reader's interest and attention. Though this is not a "Sales" page, there are several CTAs on the right to encourage the Reader to take some action.